Following on from the release of his first record “Macaya EP” in 2014 via Disboot, the Barcelona-born and based artist known as Mans O continues his creative journey linked to the label rooted in the Poblenou district of Barcelona, this time offering “Thirst o Sed”, his first work in LP format. 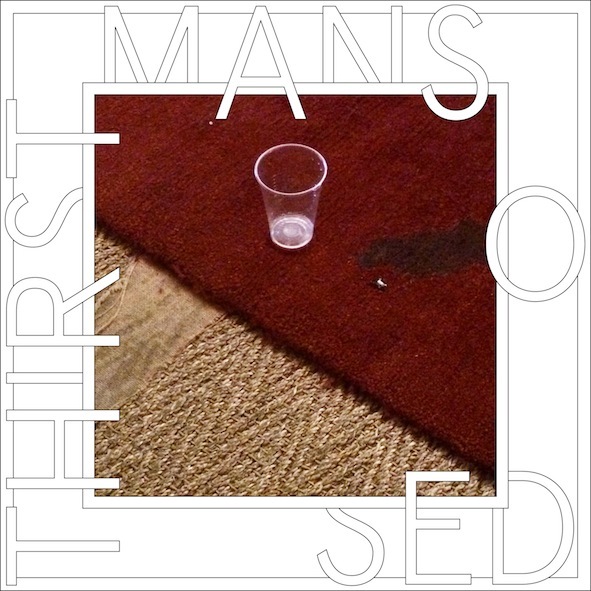 The thirty minutes that make up “Thirst o Sed” (recorded, dissected and discovered during 2015) contain within them a cathartic and concealed swarm of polarised moods that gradually begin to unravel, song after song, tone after tone, nook after nook, from the intrinsic emotional space viscerally described from the get-go. Right from the troubling first bars of “Bad Digestion o Mala Digestión”, there is a certain presumption regarding an already ingrained wound, whose unease warns of the introspective course of the path that leads from the young Catalan artist’s studio. Disorientation continues with the nervous arpeggios of “Lost Scar o Cicatriz Perdida” that steadily advance, improvising between the divergences laid out by doubts that persist, in a more melancholic manner, in the beautiful, confused and inconsolable central melody of “Updesk o Escritorio Arriba”. “Crawling o Arrastrándose” is introduced as a bipolar interlude to the sullen soliloquies of night’s ecstasy by means of a malleable structure, enlightened by fantasy in “She Walks, Inside o Ella Camina, Dentro”. Both songs are the preface to the vigorous “Concerned or Not o Preocupado o No “: a demolishing, energetic, and hypnotic tribute to the very capacity to overcome the adversities that rise up within the microcosm. Both “Agave o Agave” and “Drained Sun o Sol Drenado” clarify the nebula in a sharp, solemn and artful way as the last part of the affective tour de force unfolds, decompressing the amalgamation of sensations that is “Thirst o Sed” in a final effort marked by flashes of warm light, weightless vocal samples and a heartfelt melody through which one can pick up on a tremendous gratitude towards the ability to feel. With “Thirst o Sed”, Mans O dares to face the always challenging purpose of representing things that are intangible through the shaping of sounds, capturing his identity and circumstances through the arranging and disarranging of harmonies. In his case he faces it with honesty, through his experiences, instinct and experimentation, and leaves any external expectations or corrections behind. Fully aware that the ultimate goal of embarking on the abstract search of creative expression is that the final result speaks of one’s self.